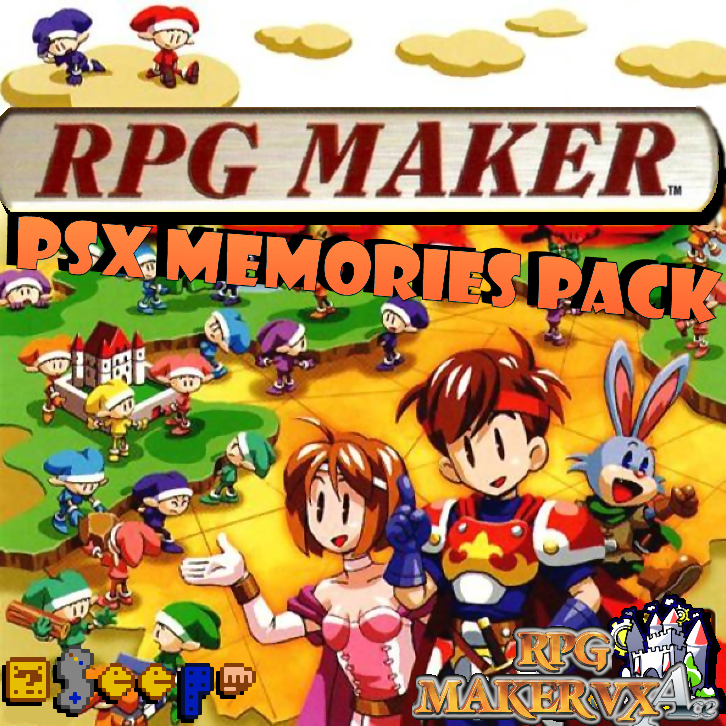 RPG Maker PSX Memories Pack is a rips resources from RPG Maker for Play Station. With this pack you can use all resources (graphics and sounds) of RPG Maker PSX in your RPG Maker VX Ace. 80% of all resources now run on RPG Maker VX Ace. 46 characters/object with 4 different palettes. A big complete tileset with new sprites. A short DEMO with many advices. EDITED FROM ORIGINAL: Do you mind confirming that you're trying to use that link as a money-making link? Personally, I hate links like that, and when I see something though AdFly, I don't even bother to follow it, since you 'usually' have to jump through hoops just to go to where the link is supposed to go. I mean, this one wasn't too bad, but, yeah.. Just my two cents. Thanks Zexion for pointing that out.. I completely overlooked that some people actually use that system for legitimate non-spammy reasons. pheonix, im pretty sure he wanted to make a bit of money with the adf.ly link. I don't care if this uses Adfly or not. The fact that you took the time to do something that EB should have tried to license and do a long time ago is plenty enough. I've always been a long time fan of the look and style of RM1 on the PS1, but not a fan of being unable to use a keyboard or mouse for easy control in events and mapping. You've done a great service, in my opinion. Now all's I gots to do is get home and dl this. Seriously, this is a fabulous belated Christmas gift to all! Out of curiosity, have you ever thought of doing the same with the old Mack and Blue 2K/2K3 packs? why the hell is every body saying gnar gnar all of a sudden? I wondered that myself, and then my own word was changed. I like the word "gnar-gnar". I wondered if it was sort of like a "word of the week" type of thing, everybody who says g-r-e-a-t (without the dashes) comes out as "gnar-gnar". I'm reminded of Pee Wee's Playhouse when they would scream whenever somebody used the word of the day. Otherwise, this thing is pure genius. I suspect these would work fairly well with 2K/3 material as well as Mack material, and maybe even some of the DS/DS+ material. If somebody ever decides to convert all of RM95's resources, I'll be a happy camper!